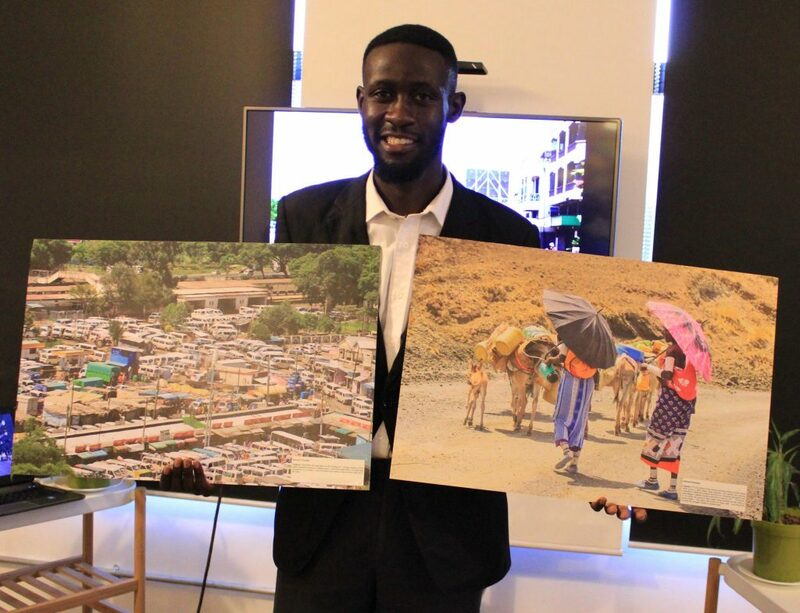 With the objective of capturing public perception of the state of mobility in Kenya, the Advancing Transport Climate Strategies project held a photo competition in August 2018. We are happy to announce the winners of the “Capture my mode” photography contest. On 18th October the jury awarded the grand prize winner, 26-year-old Benard Omwaka, a freelance journalist, based in Nakuru town, Kenya. He won in the urban public transport category and the rural transport category taking home a total of KES 60,000. Other category winners were: Peter Irungu (non-motorized transport) with a man on a bicylce, saying that “Bicycles are the second most used means of transport around Mt. Kenya because of their reliability and ease of use and minimum costs involved especially with the male population”, Boniface Muthoni (environmental impact of transport) and Solomon Ngari (overall winner as voted for during the award ceremony participants). Photo by Benard Omwaka, “Water Trek”. 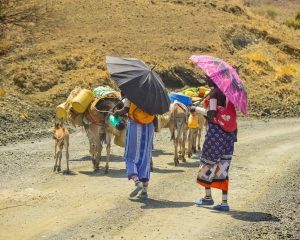 Two women carrying children on their backs, while going to fetch water using donkeys. 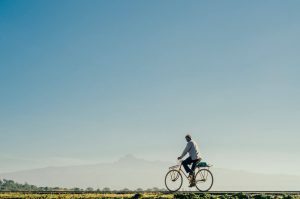 A man rides his bicycle in the early morning on the foothills of Mt Kenya. The jury received over 115 entries from different photographers across Kenya, both professional and amateurs. Winners in each category were selected by a judging panel comprised of representatives from GIZ TraCS project, State Department of Transport – the implementing partner of the TraCS project in the Ministry of Transport, Infrastructure, Housing, Urban Development and Public Works, the Institute for Transport and Development Policy (ITDP), The Photographers Association of Kenya and National Transport and Safety Authority (NTSA) – corporate affairs and communications department. Kenya’s transport sector is vital for supporting a growing economy as envisioned in the country’s development blue print; vision 2030. 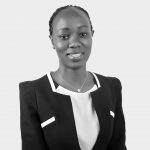 The sector has without doubt undergone transformations in the past 50 years, but how is the current state of mobility and how does the public perceive the status of the mobility in Kenya? The photo competition aimed to capture public perception of Kenya’s transport system and state of mobility.